Spring is here! Even though it was official back in March, we will see a few days of 60 degrees over the next several days. Another sign of spring is the return of motorcycles to New Haven roadways. Motorcyclists. however, can face some vulnerabilities on roadways that drivers don’t face. Below are some tips riders can incorporate to avoid a crash. Be aware of visibility. Motorcyclists are tough for drivers to see. They can move in and out of blind spots and should be aware of driver blind spots. Be careful about riding at night. Riders should wear reflective clothing so they can be seen easier at night. Save tricks for the parking lot. Tricks are fun, but when done in roadways they can drastically increase the likelihood of a New Haven personal injury. 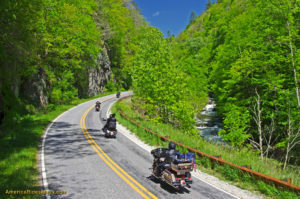 The New Haven personal injury lawyers at The LoRicco Law Firm wish you safe and fun spring riding season. If you do find yourself or a loved one in an accident, contact our firm. We can meet with you at your home, hospital, or any place you are recovering. It is very well documented that distracted driving is a public safety concern as well as a cause for New Haven personal injury. 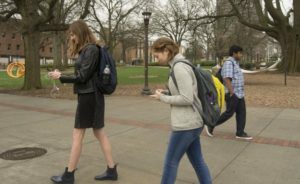 It is such a problem that many states, including Connecticut, have laws banning mobile device usage to varying degrees. While we may laugh at the woman who falls over the cellar doors, distracted walking is very dangerous. In fact, the Connecticut lawmakers are considering legislation that would give violators a warning for a first offense and a $20 fine for each subsequent offense. 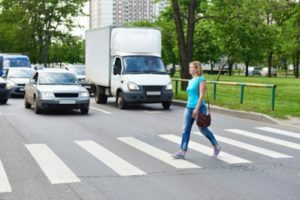 Common risks associated with distracted walking are: Trips, sprains, and strains Fractures and broken bones Cuts and bruises Spinal cord injuries Concussions and brain injuries Death If you or a loved one was injured and believe someone else was negligent, contact the New Haven personal injury lawyers at The LoRicco Law Firm. Our team will work to help protect your long term interests. April is National Distracted Driving Awareness month and whether it is high-speed travel along I-95 or I-91, or lower speed travel through downtown, it is no secret that travel through New Haven can be dangerous. Distracted driving can add to that danger, and can cause undue New Haven auto accidents that can hurt yourself or others. Keeping your focus on the road will help keep you and other drivers safe. This is especially imperative for those with teen drivers, who are inexperienced with driving and have a higher incidence of being distracted. We all need a reminder every so often to put down the phone or not eat while driving, because the safety of all those on the road is important. 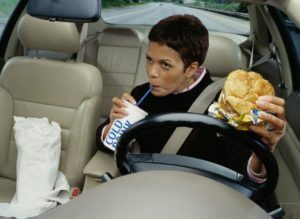 Types of distracted driving include: Eating or drinking Reading Texting or talking on your cell phone Eating or drinking Grooming or applying makeup Smoking Using GPS systems Getting something out of a purse or other bag Reaching for toys If you or a loved one was injured and believe the other drive to have been distracted, contact the New Haven auto accident attorneys at The LoRicco Law Firm for your free consultation. We have proudly served New Haven and the Connecticut shoreline for nearly 60 years. What Is Bodily Liability Coverage? Unless you have been in a New Haven auto accident, you may not even know what bodily liability coverage is. The state of Connecticut requires that all drivers carry bodily injury liability coverage on their auto insurance plan. The minimum requirement for coverage is $25,000 per person and $50,000 per accident (as of January 1, 2018). 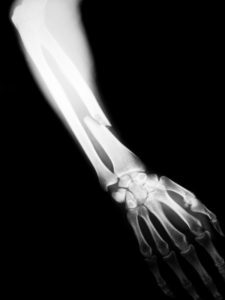 What does bodily injury insurance cover when you’ve been in a New Haven auto accident? Generally bodily injury coverages will provide for compensation of injuries sustained by you or others in an accident and can include, but is not limited to: Short-term care Long-term nursing care Lost income from time off of work Pain and suffering Coverage will vary from insurance carrier to insurance carrier, so it is critical that you know and understand what your policy does and does not cover. If you find yourself in an accident it is important to seek medical attention, obtain a police report and then contact an experienced and knowledgeable New Haven auto accident attorney to help represent your long term interests.